As promised, a second guest comic from Timothy Winchester! 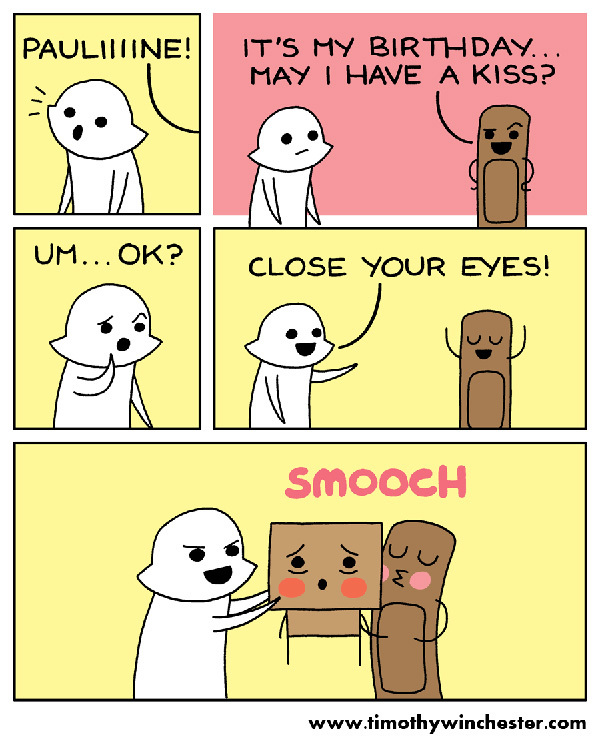 Smooch! Here’s a very cute and seasonal guest comic from Miroslava Laurenčíková. 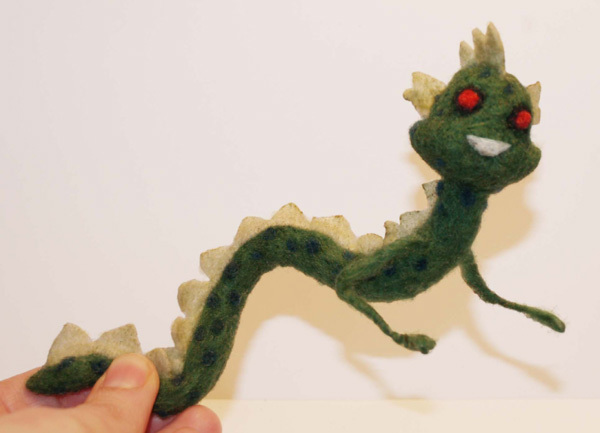 It’s a real life version of the Pauline Dragon from St. Colin and the Dragon! This was made by Edda Aßel out of felt. Amazing craft skills! I wish I could do that. That’s it for today, but come back tomorrow for more guest party times.